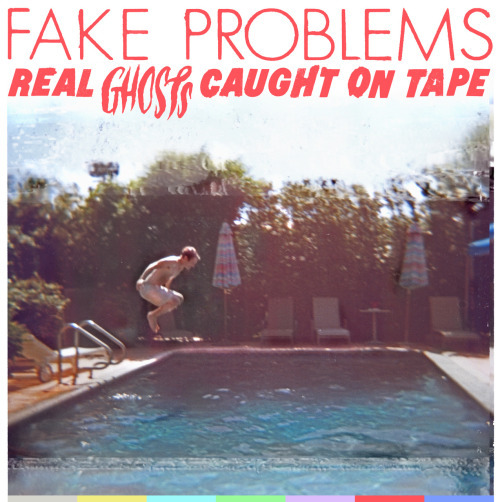 Naples, Fla., indie-pop/country-tinged/punk band Fake Problems is getting into the paranormal pop culture mindset for their new album, Real Ghosts Caught on Tape . Hitting Sept. 21, this is the band's third studio outing after It's Great to Be Alive and How Far Our Bodies Go . CMJ reports that the album was recorded last spring in Los Angeles and is produced by Ted Hutt (Flogging Molly, Gaslight Anthem). "It features guest appearances from friends of the band and, randomly, stars of the classic television show Arrested Development Mae Whitman and Alia Shawkat." The band is known for it's energetic tunes with catchy hooks, and it sounds like they'll be staying true to that based on the new paranormalesque single off Ghosts called "Soulless". which you can listen to on their MySpace page or download for free through their site.